Amid threats and lawsuits from the World Trade Organization, the United States, and monster bio-tech corporations, the E.U. continues to stand by its decision to reject the widespread use of GMs in the European food supply and to strictly label such foods. Many believe that the 2007 – 2008 European food crisis was largely driven by speculation and political manipulation as an attempt to force its citizens into the acceptance of GM food. The E.U. believes that GM food and Monsanto’s bovine growth hormone (BGH) have not undergone sufficient scientific testing to be considered safe for human consumption. The bovine growth hormone is completely banned in Europe, with studies showing that while causing unnecessary suffering and health problems for animals, BGH has been linked to cancer, premature pubescence in girls, allergies and antibiotic resistance in humans. 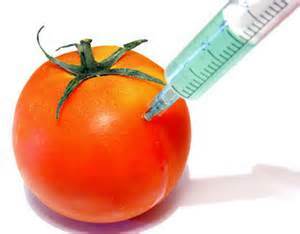 In the United States the use of BGH was easily passed by the Federal Drug Administration with few studies, those of which were personally conducted by Monsanto, and has since become a daily part of the American food supply. However, Monsanto does not want to stop there – their eyes have been set on the European food supply for some time now. It has come to the point where E.U. officials have been directly threatened with retaliation by entities such as the World Trade Organization if they did not concede. Europe has had a ban on the use and importation of growth promoting hormones and hormone-treated products since 1989, the ban was retaliated against by the WTO on the grounds that the E.U. was violating WTO agreements and constructing illegal barriers to trade because “BGH did not present enough of a threat to warrant a limit to its importation and usage.” In 1998, the WTO appeals board ended up ruling that the E.U.’s ban violated agreements as their assessment on BGH was not justifiable; the consequences were enormous – with a penalty of $116.8 million paid out to the US for financial losses of American cattle and dairy exports. Despite the injustices, pressure and unfair penalties the E.U. has had to endure, it continues to fight against being threatened and manipulated by bio-tech giants such as Monsanto and the WTO. The E.U.’s latest victory occurred this past July with Monsanto scrapping plans to produce new of its GM crops on European soil citing that approval for GM cultivation could take years to obtain.